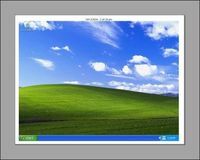 VirtualBoard allows to directly use Windows desktop as graphical support to simply draw or to make quick educational or commercial presentations with minimum mouse handling. VirtualBoard was at the beginning a tool created for professional needs, to teach people how to use Windows, with projection on large screen:instead of using big explanations in an incomprehensible technical jargon for a newbie (example: " Click on 'Start' Menu on the left side of the taskbar, at the bottom of Windows desktop " ), it is more enerigizing and motivating to SHOW what should be done ( " look at the red arrow I've drawn on the screen,and click at the place the arrow indicates " ) ! All that with one imperative : minimum of mouse clicks ! 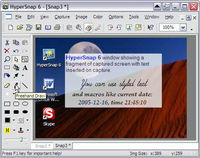 However, VirtualBoard is neither a paint nor a presentation software. 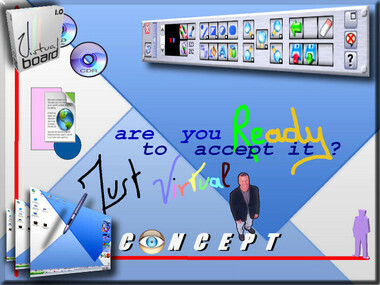 VirtualBoard is rather an attempt to combine painting and presentation by keeping only direct essential functions and most of all with the quickest access as possible. 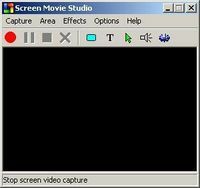 In order to dynamize the tools, some functions are animated: showing on/off the palettes, zooming in/out, changing paper color and screen theme.